Established by order of warlord Toyotomi Hideyoshi during Kan'ei era (1624-1644), the workshop started to be known for its metal colouring method called “Goro sanshoku” for red and yellow copper. 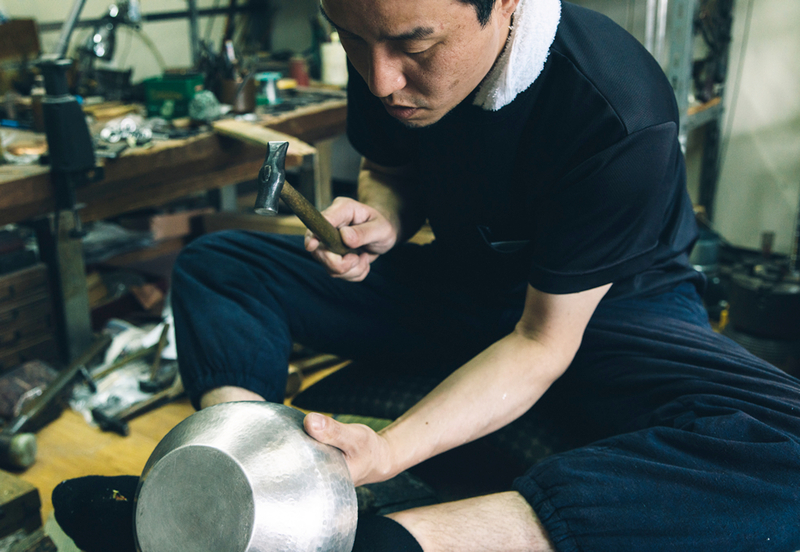 The 8th-generation Kanaya Gorosaburo craftsman has worked for Tokugawa family and received special favours from it. Ever since, the workshop has excelled in making fine copperware. The 9th-generation smith of Kanaya Gorosaburo has appeared in a number of domestic and foreign exhibitions and received numerous awards. The workshop deals with almost all the processes of metalsmithing, and after the demonstration of some of them, you can enjoy the aesthetics of old metalworks.